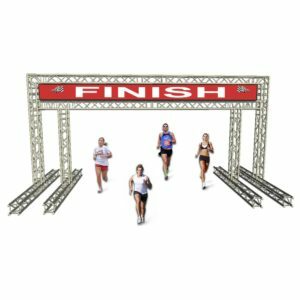 Supplied in pre-designed packages or as completely bespoke designs to your individual specifications, all of our race gantries are made to exacting quality levels, and meet all current UK and Euro safety requirements for structural equipment. 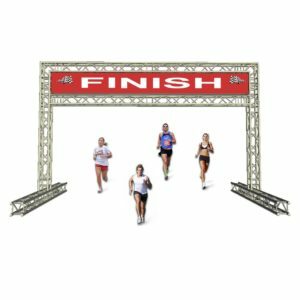 The large surface area available can be utilised for the fixing of traditional printed canvas banners, or from the trussing being used as a base frame for box panelling with sheet materials, to give the appearance of a solid structure which can then be decorated to suit. 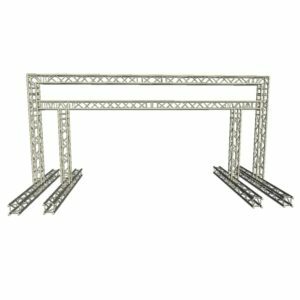 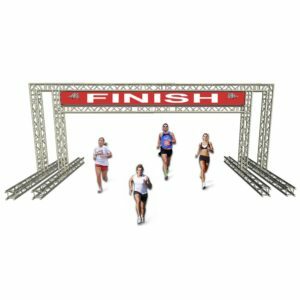 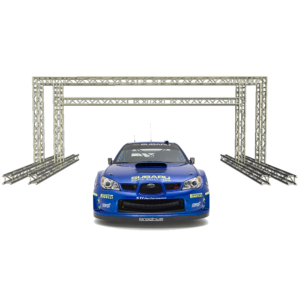 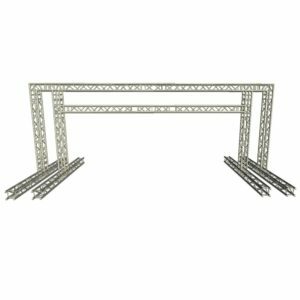 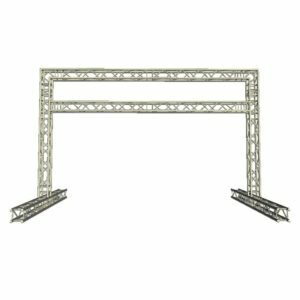 Construsted from either Alustage box truss, or from or SC Pro Square Truss, these systems are perfect as start and finish line arches for races and marathons, fun-runs and sporting events, motorsport timing gates and podium displays to drone racing courses. 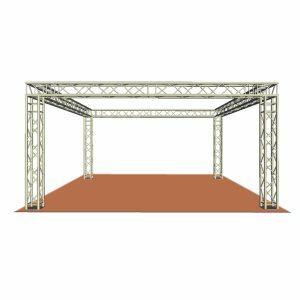 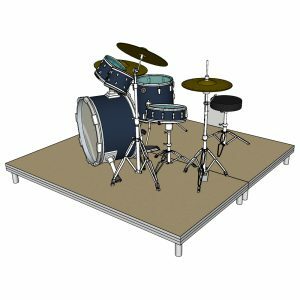 The truss systems lend themselves to many different situations making them ideal for rental purposes or for organisers. 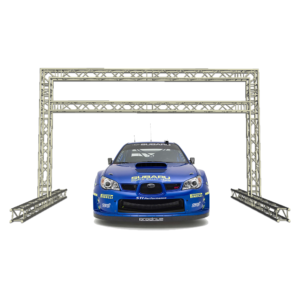 As opposed to the popular inflatable types of race arch, which can’t support any additions, a truss based race gantry gives you the ability to hang attachments safely, be it lighting units, speakers for public address, timing clocks for running and motorsport events, or visual display screens. 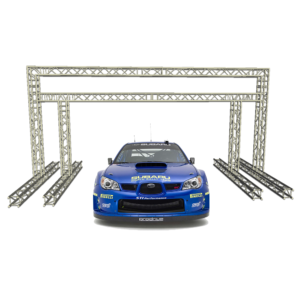 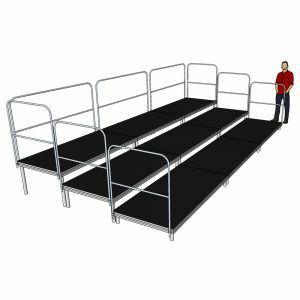 It also gives you a convenient way of carrying and distributing cabling across a road or other floor obstacles.